While public hygiene and air quality may not be the city's best traits, Shanghai produces the highest GDP for China, the world's fastest-growing economy. Expats can benefit from rising wages and affordable cost of living. For those coming from the West, though, adjusting to the hustle and bustle of the crowded city and distinct Chinese culture will take time. Sitting at the mouth of the Yangtze River is this flatland of many rivers, canals and lakes with neighbours such as the provinces of Jiangsu and Zhejiang from the north-west to the south-west. Shanghai weather is influenced by the subtropical maritime monsoon and the four distinct seasons through the year. Because of the influx of foreigners in 1800 when the Treaty of Nanking opened the city to international trade, Shanghai is the home of many religions with its long lines of Catholic, Protestant and other European Churches, mosques, synagogues as well as traditional Buddhist and other oriental temples. Shanghai is one of the biggest cities in China famed for its perfect blend of modernisation and tradition. International assignees will immediately feel its dynamic economy once you walk the streets of the metropolitan which serves as the home of hi-tech architectures, sky-high buildings and state of the art offices of many international companies. Getting a job in Shanghai can be a bit challenging because of increasing competition. Despite the city's global reputation, most company's preference is to hire local employees or expats from Asia for their local knowledge. Foreign assignees in the city are mostly working within the leading industries such as finance, technology and education. Shanghai is the financial centre of China, and therefore, it is more modern and diverse than other cities in the country. There are more people who can speak English in the city, but it would still be very useful to make an effort to learn a little bit of Shanghainese (Hu Language) or Mandarin. Another major concern of expats in the city is the air pollution. While the air pollution in Shanghai is lower than other cities in China, it's still quite high on a global standard, so preparing for exposure especially for the first few weeks is important. Pack a few face masks and try to buy an air purifier. Aside from the pollution problem, expats should prepare for storms as Shanghai is prone to storms and typhoons. Severe flooding in some areas in the city is almost a yearly occurrence, most recently, the Super Typhoon Nepartak, just last July 2016. Be aware of China's four-tier color-coded system for the weather; Red, obviously the most serious, followed by orange, yellow and blue. Always stay posted with storm warnings and stay indoors during storms. When moving abroad, it's always better to expect that the utilities are not part of your rental pay. The average monthly cost for essential services in Shanghai is €50 which includes water, gas, electricity and garbage collection. An unlimited internet connection with a minimum speed of 10mbps is around €20 per month, and local mobile prepaid calls are billed at €0.05 per minute. 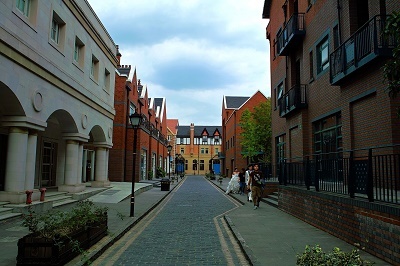 Shanghai has a mixture of old houses situated near newly developed high-rise condos and apartment buildings. Some of the things that expats on assignment should consider when looking for a place to live are its proximity to work, children’s school and other amenities. Traffic and congestion are some of the problems caused by the city’s rapidly growing population; that's why many expats choose to live in the metropolitan where the travel time is short. A great number of housing areas can be found anywhere in these districts with the greater expat concentrations found in Puxi and Pudong. It is not uncommon to hear expats in Shanghai raving about the city being a gem of a destination. Its famous landmarks are a combination of old and neoteric, such as the Oriental Pearl TV Tower, one of Asia's highest structures, and the city's oldest Catholic Church, Dongjiadu - both symbols of the marriage between modernity and the Shanghai heritage. In fact, since the mid 19th century, Shanghai has always prided itself on being Asia's Western and cultural centre. Moving to this city may be an extraordinary experience, but there is nothing too extraordinary for expats to bring with them except, perhaps, for some familiar toiletries which can be hard to find. Those who are on maintenance prescription drugs could be advised to bring a good stock from home as there is said to be a proliferation of fake drugs in the city. Today, it is a fast-rising economic power in the East and one of the most enchanting cities in all of Asia. Many international moving and shipping companies offer door to door services. Moving professionals will help arrange the delivery and overlook the whole moving process until the delivery of items. It typically takes about a month for the containers to reach the Port of Shanghai where local customs officers are stationed to conduct an inspection of the cargos. For more information about the city’s import regulations, click here. There is a strict quarantine period for all animals entering Shanghai territory. The time frame usually ranges between 7-30 days, but this will still vary depending on the country of origin. Pets are not required to be microchipped, but pet owners need to provide its original Rabies Vaccination Certificate stating that the vaccination was given at least a month and not more than a year before import along with the Veterinary Certificate for China endorsed and stamped by the government of your home country. Lastly, expats need to present their passport to match against the pet’s certificates. Shanghai has a massive land area 6,340 km²; Shanghai experiences a monsoon-influenced humid continental climate. Severe winter nights can also be due to its northern geographic location. 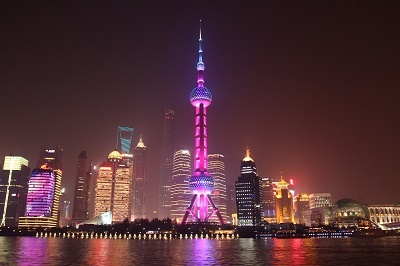 Shanghai is considered as East China’s international, financial, and economic trade centre. It is known around the world as a city fond of old Shikumen and modern skyscrapers. Starting life in the vibrant city would open you to exciting opportunities. The “Oriental Paris” has endless shopping option for every shopaholic. Getting by your daily life in Shanghai is easy as the city is relatively safe and has low crime rate. Utilities such as electricity and water are managed by the Shanghai Electricity Company and Shanghai Tap Water Company. Expatriates must be advised to never drink tap water as it is not safe. Regarding public toilets in Shanghai, none are accessible around the streets and are rather found inside shopping malls. Since driving around the cosmopolitan could be a challenge, commuting is the best option. Shanghai Transportation Cards are issued and sold by the Shanghai Public Transportation Card Service Center (SPTCC). The string of international markets around Shanghai has been an advantage for many expats making their grocery life easy. Local supermarkets which are found in the city are Hualian, Lianhua and Tesco. Fresh produce is also easily found in places such as Mahota Kitchen and Sprout Lifestyle. Expats differ on how they want to explore the markets of Shanghai, those who are too busy to visit wet markets prefer online grocers, and yet the adventurous ones would still prefer visiting UnTour Shanghai, Community Center Shanghai and all other wet markets. If you prefer the latter, be sure to be equipped with the necessary Shanghai Chinese phrases to deal easily with the local vendors. Phrases such as “Zhège duōshao qián?” which means “How much does it cost?” and the numbers in Chinese would be helpful. It’s also a great chance for expats to enhance their bargaining skills and you can start with 25 percent less from the original selling price. Shanghai has an interesting fusion of Western and Chinese culture. Expatriates bringing their families with them in Hu will never run out of fun activities to do. Children will enjoy playing in various parks such as the Bund Sightseeing Tunnel, Lujiazui Central Green and People’s Park. Nightlife is not only about bars and clubs when you live in Shanghai as the city turns into a vibrant and colourful one at night. It is almost a must to see The Bund and iconic towers such as the Shanghai Tower, Oriental Pearl Tower and Jin Mao Tower which offers such scenic views. Locals also love to celebrate festivals, and it would be fun if expats could participate in it. Expat kids will enjoy attending the Dragon Boat Festival, Shanghai Contemporary, Shanghai International Arts Festival and Chinese New Year or Spring Festival. As one of the world's financial hubs, Shanghai draws a people from different parts of the world creating a cultural melting pot that offers a little bit of something for everyone in terms of community, cuisine, and experiences. Meanwhile, those who find no substitute for the native taste of Shanghai can always go back to the city's traditional cuisine of vegetable and seafood ensembles soaked in thick stocks, rich sauces and sharp but natural flavours. 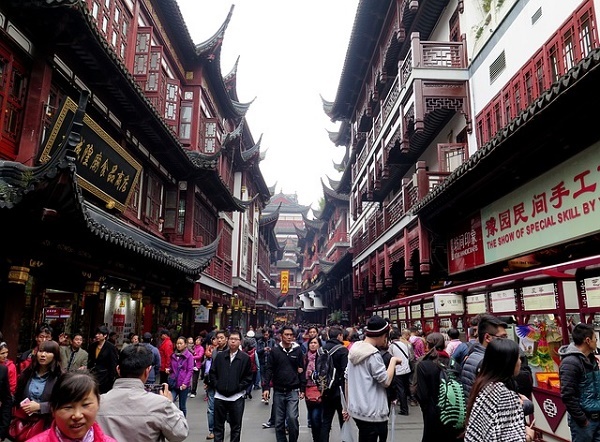 In the city streets, one will hear mostly Shanghainese which is part of the Wu group of Chinese languages but is not necessarily understandable to those who speak other Chinese dialects such as Mandarin, Cantonese or Minnan. While expats may find the most number of English speakers here than anywhere in China, Shanghainese remains to be the official tongue in this city. As common in Asian cultures, bowing as a sign of respect and formality when greeting someone is imperative. Preserving a wholesome public behaviour and avoiding giving out public criticisms, disrespectfulness and complaints must be observed. When dining with Chinese friends, make sure that you know the norms when using chopsticks such as placing them on your plate horizontally and keeping it together. One of the many hurdles of a Westerner living in Shanghai is the language barrier. The official language in the city is Mandarin, and it is almost rare to engage with someone who speaks in English. It would be best to learn more than three Chinese phrases which you can use when conversing with locals.